Since 2011, a small team at the Colorado Department of Transportation has leveraged employee talent across the agency to help foster a culture of continuous improvement. Through an award-winning idea system to change management, CDOT is working to become a more efficient, effective and customer-service orientated transportation agency. This webcast will showcase CDOT's approach to building improvement through engagement and helping to make those changes stick with a structured approach to change management. Join Gary Vansuch, Director of the Office of Process Improvement; Michelle Malloy, Senior Program Manager; and Geneva Hooten, Innovation and Improvement Lead, to learn more about CDOT's initiatives that earned them a Top 25 Innovation Award from Harvard's John F. Kennedy School of Government. How CDOT makes improvement stick through Change Management and focus on the people side of change. Gary Vansuch is the Director of Process Improvement for CDOT. He directs efforts to improve the organization's operations, focused on making government more effective, efficient and elegant. He has over 30 years of business improvement and change leadership experience in the energy, financial services, research and government services sectors. Gary is a Lean Six Sigma Master Black Belt and a Certified Change Management Practitioner. 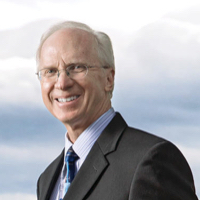 Additionally, Gary served 6 years with the Malcolm Baldrige National Quality Award program, including four years as a Senior Examiner and as a member of the national Case Study Development Team. 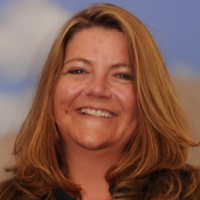 Michelle Malloy is the Senior Program Manager for Strategy & Change Management Services, a Lean Leader, and the Statewide Lead for CDOT's Change Agent Network. Michelle has worked at CDOT for 10 years and Michelle's overall objective is to be the best steward leader possible, ensuring that everyone and everything left in her care are nurtured and developed to provide the best value and service to the citizens of the state of Colorado today and into the future. Geneva Hooten serves as the Innovation and Improvement Lead at the Colorado Department of Transportation. 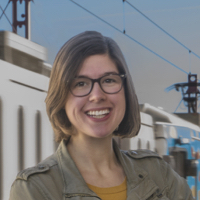 She brings nearly a decade of experience in the transportation field, most recently as a transportation planner focusing on bicycle and pedestrian mobility. At CDOT, Geneva works to engage all staff to improve their work through innovation and process improvement, and leads the Lean Everyday Ideas program, an award-winning statewide idea system.